This entry was posted on October 7, 2018 by chris elliott. Bamboo is hardwearing when compared to some wooden floors. We have different types of bamboo flooring and some are more hardwearing than others. All types are suitable for homes and residential use, but we also have some that you may prefer if you have a busy area or a commercial property. All wooden and bamboo floors are tested to assess their hardness. It is a scientific measurement called the Janka Hardness Test. Our solid bamboo floors are comparable to Oak flooring; however, our strand woven floors are over twice as hard. To find out more about this, and where bamboo ranks in comparison to other wooden floors, have a look at the following: What is the Janka hardness scale for bamboo flooring? What is the strongest type of bamboo flooring? First of all, you will find it extremely durable. All of strand woven floors can be used with underfloor heating. You can use it in rooms where temperatures fluctuate, like conservatories. 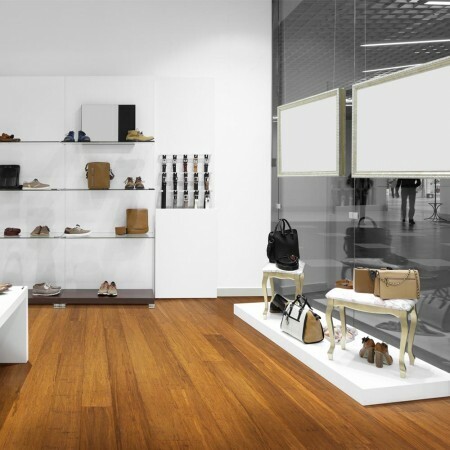 If you are looking for an eco-friendly and sustainable product, then all our strand woven floors are FSC 100%. You will find it very easy to clean and look after. Bamboo can be found at a fraction of the price of hardwood floors. It is a versatile floor. You can install it in most rooms in your home, and you can fit it in different ways. Finally, you will find a wide variety of colours and styles to choose from. Including white, grey, brown parquet blocks and different sized boards. Even though strand woven bamboo is hardwearing, remember that it is a natural product so will inevitably dent and scratch if not looked after properly. To find out more about this fantastic type of bamboo floor, read the following: What is strand woven bamboo flooring? Why is bamboo flooring hardwearing? Strand woven bamboo flooring is hardwearing because of the way that it has been made. The raw bamboo has been shredded into strands. These are then compressed together to create an extremely strong and durable block of bamboo. If you want to find out more, you may find the following especially relevant: How is strand woven bamboo flooring made?